It’s almost been almost two years since our last look at the latest office gadgets, and technology has moved on a lot since then. So what is the best in new technology for office life? It’s hugely expensive and it looks a bit silly, but it’s definitely a product that feels straight out of the future. With all of those frustrating quirks of living in the present. The battery sticks out weirdly over your ear, it runs out of juice pretty quickly and it’s not exactly discreet. But it’s sort of virtual reality,so you can’t really complain. It’s a step in the right direction, and it’s less painful than sticking a phone up your nose. It costs over £1,000, so it’s no small trinket, but you can customise it, have GPS practically in your eye and it has some great apps. Particularly World Lens, which translates any written language you see in real-time. Google calls the process of buying it “becoming an Explorer”, so you can feel like a member of an exclusive club, or some kind of techno-Indiana Jones. Don’t expect to be able to wear it in the cinema after work, though. 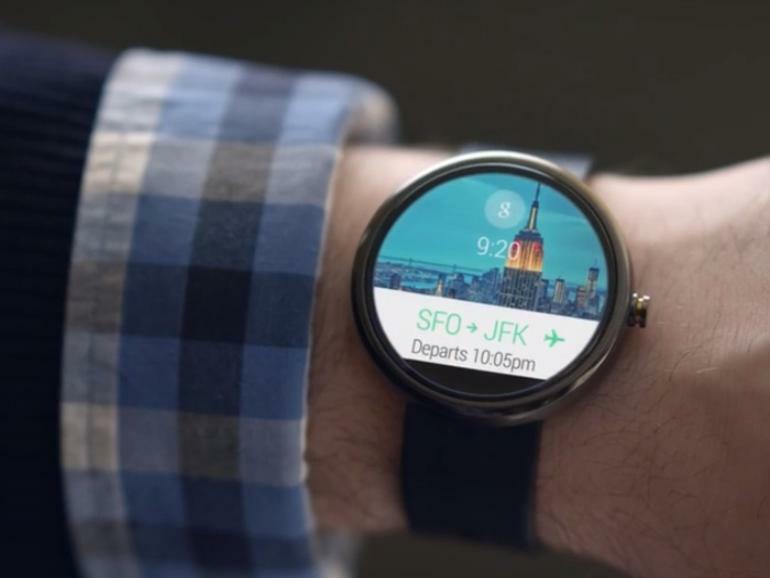 This year saw what is sure to be the beginning of the smart-watch revolution. So far Sony, Motorola, Apple and LG have all released or announced smart watches. It’s another piece of technology you can wear, but one that doesn’t feel too ahead of its time like the Google Glass, which seems more like an early test for improved later technology. The smart watches are either round or square depending on which company has made them, and although battery life is a bit of an issue for some of them, you’ll never miss an important call, e-mail or text again, as it connects wirelessly to your phone, so that when you’re out and about there’s considerably less of a chance of missing your phone vibrating in your pocket. Android smart-watches all run on Android Wear, a modified version of the Android operating system, and there are already several apps you can use, that make these products a viable gadget for anyone looking to make their colleagues jealous. It doesn’t fire any lasers yet, but it can remind you when your bus is arriving. Which is still pretty futuristic. It might be a couple of years before they’re considered more than an expensive novelty, but the same was thought of tablets not long ago, and now they’re everywhere. It won’t be long until people will think it’s weird we didn’t talk to our watches. In this age of cyber-watches, techno-doorbells and shoes that connect to the internet, the printer still stands proud and tall as something that isn’t really any better than it was twenty years ago. Even the original printing press probably didn’t get jammed and refuse to connect to anything. The ink was most likely a lot cheaper, too. The Pocket Printer offers a compact alternative. It’s a tiny black box, that you can place on a piece of paper, which it whizzes around on, printing as it goes. It’s worth bearing in mind that it doesn’t exist yet, but you can help fund its production on Kickstarter. Then you can be the envy of all your colleagues who still lug around giant printers like neanderthals. 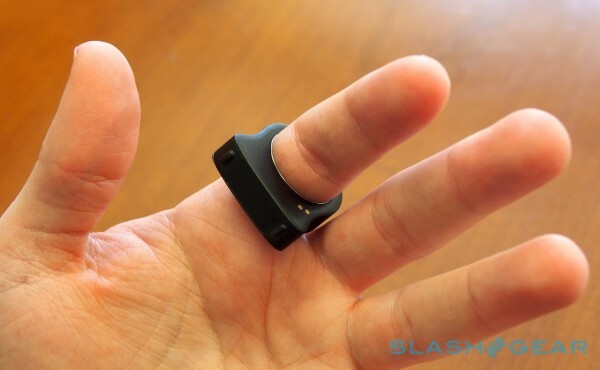 Another gadget to make us feel like we’re living in a futuristic utopia is the Nod Ring. Yet another gadget you can wear. Combining the watch, ring and glasses would make you the definitive businessperson of the future. The Nod Ring allows you to use all sorts of hand gestures with your technology around the office. Turn down the heating by waving your hand, restart a crashing computer by using threatening gestures, activate the trapdoor by giving a client a thumbs-down. It really does have a lot of exciting possibilities. You can scroll through files or presentation slides using its touch sensor, turn the pages of an e-book, or cut fruit in Fruit Ninja. It does mean you’ll be sat at the computer with your hand (or hands if you really want to go for it) help up like an indecisive conductor. 1. Sony Digital Paper System. With incredibly thin, flexible screens looming somewhere in the sort-of near future, paper could be a thing of the past. Which is good news for trees. But until then, Sony’s Digital Paper System (SDPS) is the best choice for tree-appreciating paper-hating tech-enthusiasts (TAPHTEs). At only 6.6mm thick and a battery that lasts up to three weeks, it’s a great piece of kit to use in the office. You can upload anything you write to a cloud server, and download any important PDFs back. You can then annotate them and send them back. It uses the same kind of e-ink technology found in an e-reader, like the Kindle, so it doesn’t strain the eyes and it’s visible from any angle. But at over £650 pounds, it’s also a lot more expensive than a Kindle. This entry was posted in TOP FIVES. Bookmark the permalink.